Oculus VR that makes the virtual reality Rift headsets, which are much hyped in the market, has been purchased by the largest social network of the world for a price of $2 billion. The acquisition comes when people have started spending more and more time with their friends in the digital world instead of remaining in the physical realm and the CEO of Facebook, Mark Zuckerberg is thinking of tapping into this shift. On Tuesday, this takeover by Facebook Inc. was announced and it is yet another move of the biggest social network of the world of purchasing a technologically sophisticated startup, which is focused on convincing people to escape their actual lives for a while. In the post announcing this purchase, Facebook said that virtual reality technology has the ability of transforming into the next communications and social platform. 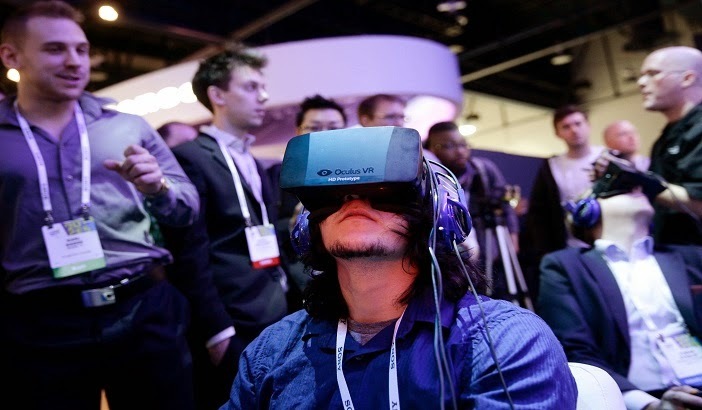 It is planned by Facebook to enhance the existing advantage of Oculus VR that it has in gaming to a whole new level, which would also include media and entertainment, communications, education and other areas. The price of $2 billion has been mentioned for the startup, which includes $1.6 billion in the form of 23.1 million shares of Facebook’s common stock and the remaining $300 million will be paid if certain milestones are achieved by it. Zuckerberg said that it is Oculus’s goal to aid people in experiencing the impossible. People will be able to have completely new kind of experiences because of this technology. The first experience will be immersive gaming and the startup already has big plans about it, which Facebook doesn’t intend to change, but accelerate. However, the CEO also added that this would only be the beginning as they will use the platform of Oculus for a horde of other experiences, which would enable people to attend classes anywhere in the world or see a game by only wearing their goggles at home. The CEO and co-founder of Oculus, Brendan Iribe said that they are really excited about working with Facebook and will focus on delivering the best virtual reality platform to people. He said that social experiences would define virtual reality to a huge extent as it would help people in connecting in new and magical ways. He added that this was a disruptive and transformative technology that would assist people in seeing the impossible. John Carmack, creator of Doom had recently taken up the role of chief technology officer at Oculus and left ID software. He was hired for fixing some technical issues such as the visual ‘smearing’ that occurred when the head was moved too fast and induced vomit. Technically, this graphics-programming genius has now become an employee of Facebook Inc. Gaming support has also been provided to the company’s VR goggles from Valve Software, gaming behemoth and they are using a service named SteamVR for testing support for Oculus Rift in its gaming platform. This acquisition of the VR upstart is made by Facebook just after it purchased the chat application Whatsapp for about $19 billion.